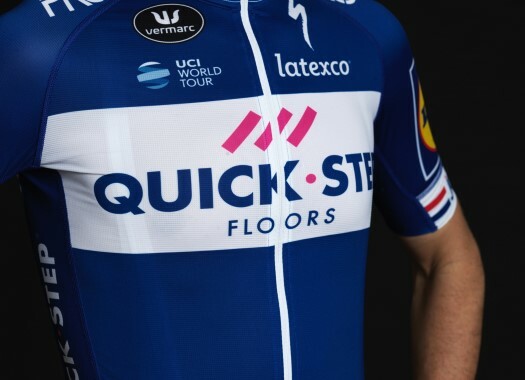 Quick-Step Floors is ready for the start of the Spring Classics season after choosing its roster for Omloop Het Nieuwsblad and Kuurne-Brussels-Kuurne. Philippe Gilbert will return to Omloop Het Nieuwsblad (24th of February) to try to get his third victory, which would make him a joint record holder along with Peter Van Petegem, Joseph Bruyere and Ernest Sterckx. The rider will have the company of strong riders like Niki Terpstra, Zdenek Stybar and Fernando Gaviria, who will ride this race for the first time. Initially, Tim Declercq, Gaviria, Iljo Keisse, Yves Lampaert, Maximiliano Richeze, Florian Senechal and Terpstra will ride the next day in Kuurne-Brussels-Kuurne, but this selection of riders can change depending on what happens at the Omloop. "The opening weekend is an important one for many riders, who will come with big expectations, ready to test their condition after the winter training and the first races of the season," said Sports Director Tom Steels. "Let’s not forget the fans, who too are eager to see the first battles of the year unfold on the cobbles of Omloop. "One day later, we’ll get another taste of the cobbles at Kuurne; on paper, it’s an easier race, but it all depends on the weather, because if we have rain, then it won’t come down to a bunch sprint."